Here is a quick summary of GOAT, and the story is meant to be taken with as many grains of salt as possible. GOAT originally hail from Korpilombo, Sweden, from a community that has a history of voodoo worship. At various times, the incarnation of GOAT has lived on for 30 or 40 years amongst members of this village, and now, the current incarnation of GOAT contains three members from Korpilombo, augmented by a few folks from Gothenburg. All bands need good stories, and GOAT’s is one of the better ones. A quick Google search of Korpilombo and voodoo yields nothing but GOAT-related results. Combine this wonky backstory with the fact that live, the members of GOAT all wear cloaks and masks and operate in a shroud of mystery, and it is enough to be almost too much of a schtick. But what makes the tradition of GOAT work is that the band doesn’t let this aura undermine the music. GOAT play a funky blend of Afro music combined with some psychedelic grooves that are downright heavy and funky at the same time. The entire thing is a huge spectacle, starting with the secrecy and ending with the wild outfits. The incendiary performance owes much of its power to Goat’s two wild frontwomen, who enter the stage like a couple of whirling dervishes and leave when the dust has barely started to settle. They are the eye’s focal point, but it is the instrumentation of Goat, which gets locked into the greatest of spacey jams, that really pushes the live show into the stratosphere. Although virtually all the songs GOAT perform live are much longer than their recorded counterparts, the band makes sure to keep their songs at digestible length; they don’t allow anything to go for so long that any ounce of boredom can set in, and this is an important point. All the elements are there for GOAT to jam band off into space and leave everyone else behind, but the band has the maturity to keep it all close, yet new and original, at the same time. Bands with schticks are a dangerous thing. It is easy to get overwhelmed by the story and just be that crazy band with outfits. GOAT are anything but. 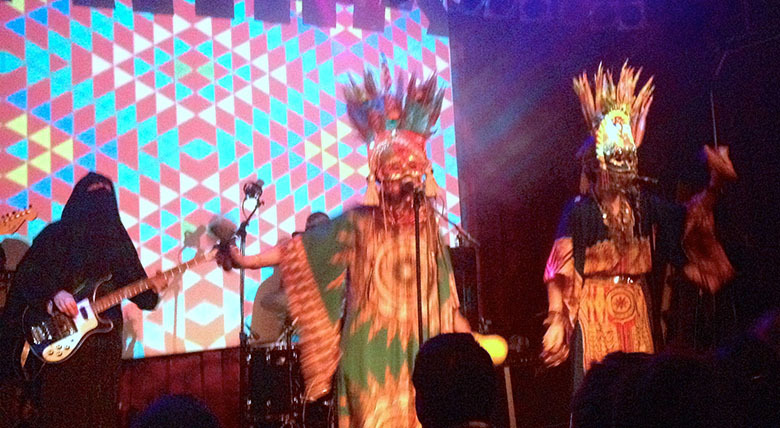 World Music, their debut full-length, was one of the best psychedelic albums to come out in the past few years. The band followed it up with a live album of the recorded material, and it is even better. 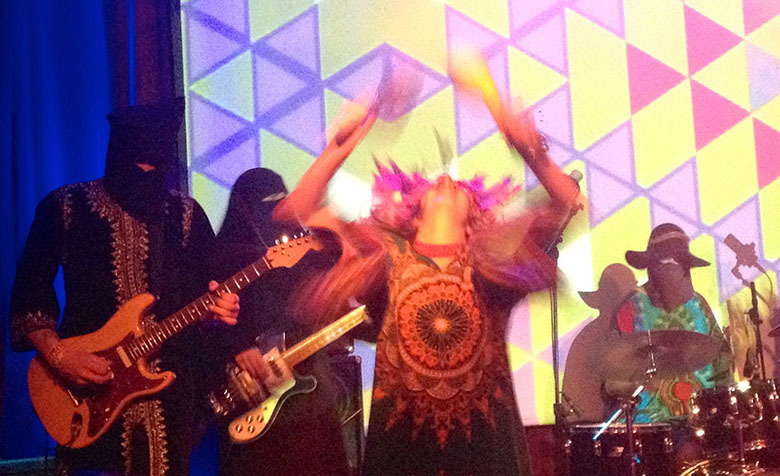 GOAT, as a band, isn’t just music; it is an experience.